17 small gardens that will suit any home! We all dream of having a beautiful garden, where we can have fun and spend time with family and friends. A garden also increases the size of the house, extending the living areas outdoors. This gives us a whole new area to spend time in and means less mess indoors! 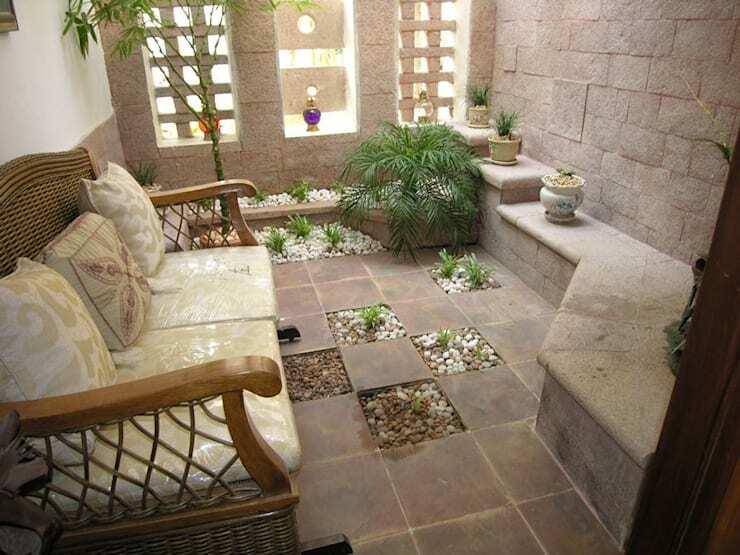 A garden also reinvigorates the home with a touch of freshness. Once you've had a garden, it becomes a space that you simply can't do without! 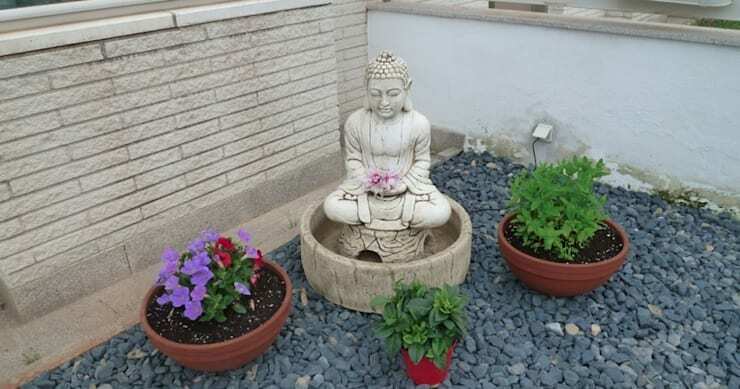 If you feel the same way or if you simply are looking into incorporating a garden into your home, then you are in the right place. Today, we have put together 17 small and beautiful gardens that are perfect for any type of home! This idea is great because you can adapt it to any entrance hall or even the space under the stairs. It refreshes the interior and is both practical and beautiful. Have a look at these stylish ideas for your interior garden for inspiration! If you are the type of person who doesn't usually have a garden because you'll forget to water the plants, we have a solution for you. 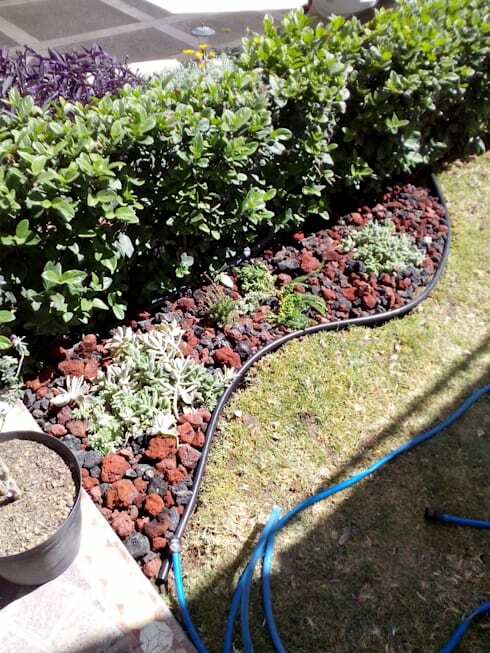 Create a semi-desert garden with a cactus, red soil and porous rocks. You won't have to water it regularly but it will still look stunning! 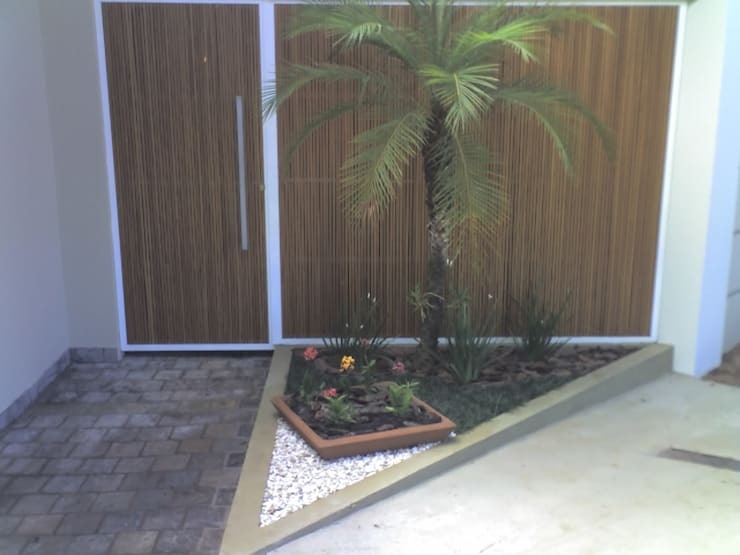 Palm trees are a great choice for small gardens because their foliage expands in width, but they don't take up too much space. 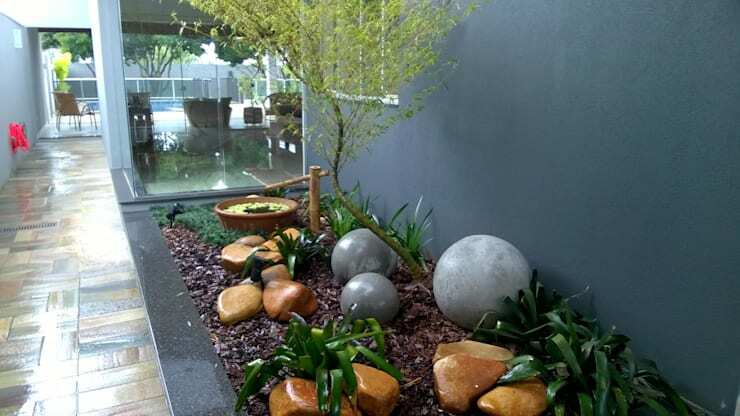 This traditional garden uses grass as a base element but it also incorporates materials such as rocks, gravel and trees, adding differing textures and tones. A tropical garden will help make your home look more festive and relaxing. 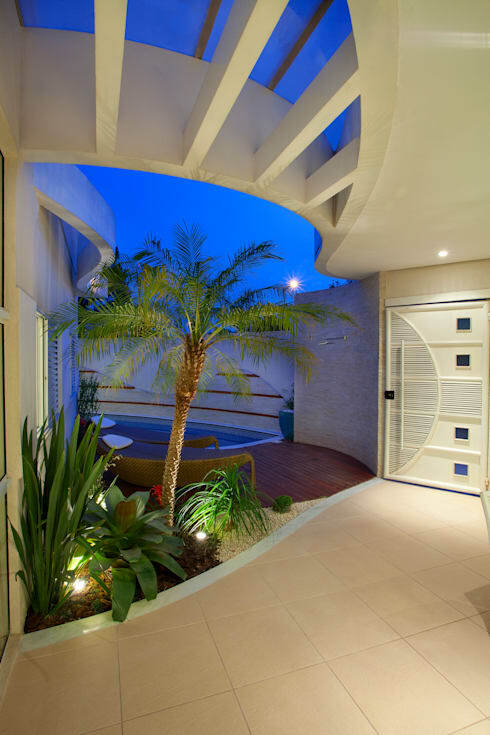 It is also perfect for open spaces, modern houses and swimming pools. The problem with indoor gardens is that if they aren't planned carefully, they can bring a lot of dust, mud and dirt into the home. Rocks, however, add an elegant look and require very little effort. 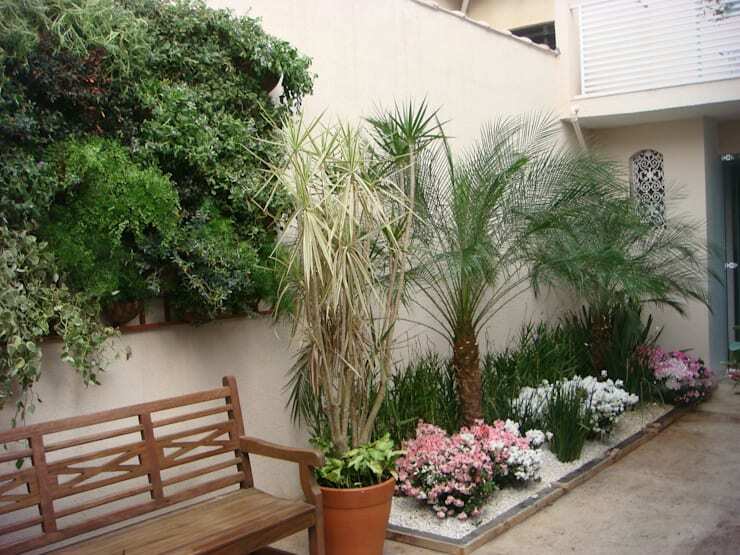 This small garden is the ideal replica of a larger garden. It is only a few centimetres in size, but has a perfectly positioned patch of grass, stone and gravel. 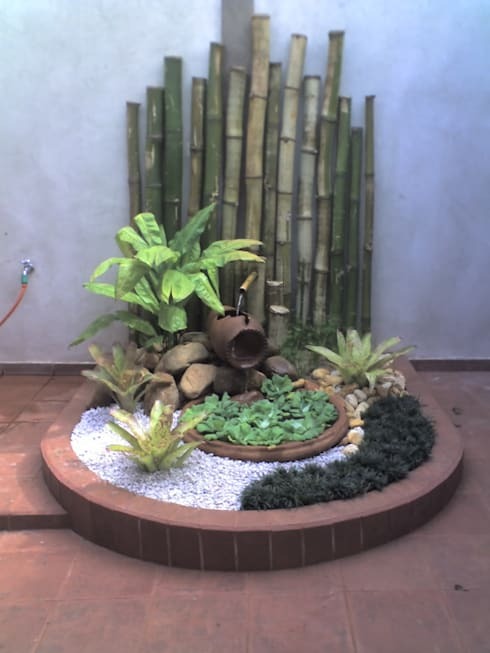 It also features a reed wall and a fountain. You have too little space in your garden, why not add a garden over another garden? You can opt for many plants in a small area! 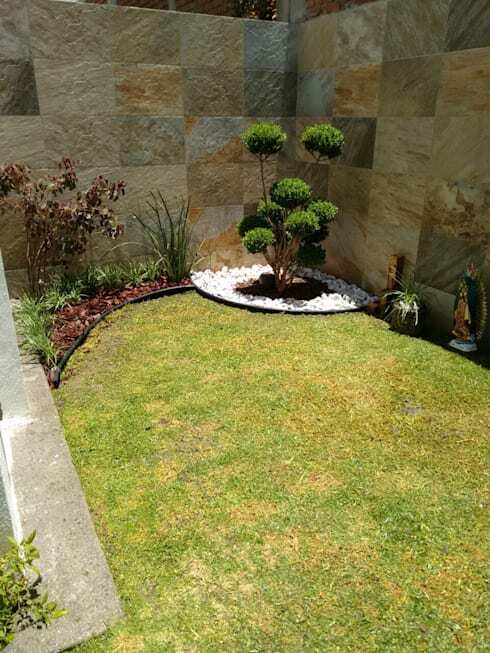 Here we can see how if you place a bed of stones first, then a section of grass and then plants on top, you can have the perfect design. Hallways are often left out when decorating, but in reality they are very useful spaces and can be transformed into just about anything, including a garden! Just choose a small planter and some of your favourite greens. Also have a look at these 9 unique ways to decorate your corridors and entrances. 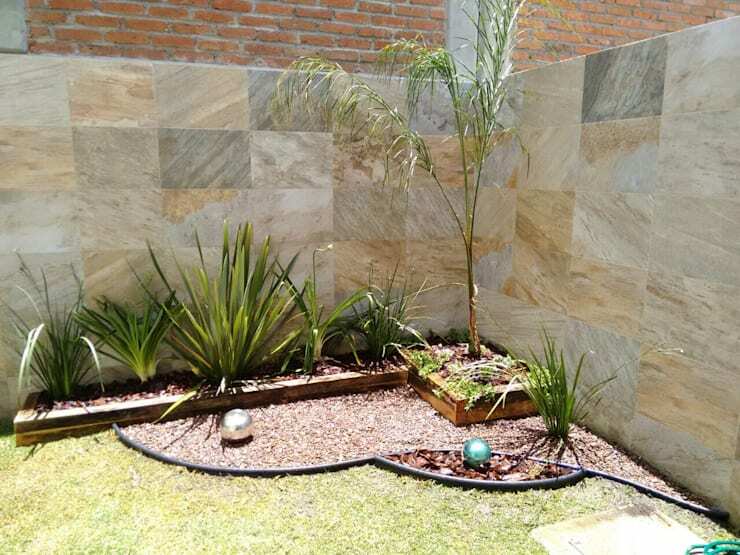 If you have a backyard or courtyard, a small garden will help to make it more enjoyable and fun without having to invest too much time or take up too much space. 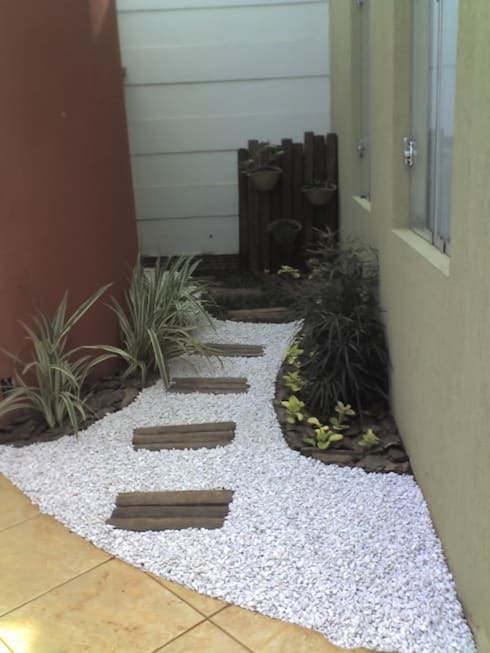 Putting a path in your garden with help to give it more depth and visually make it seem wider. You can play with the sizes of the stones, creating different perspectives. 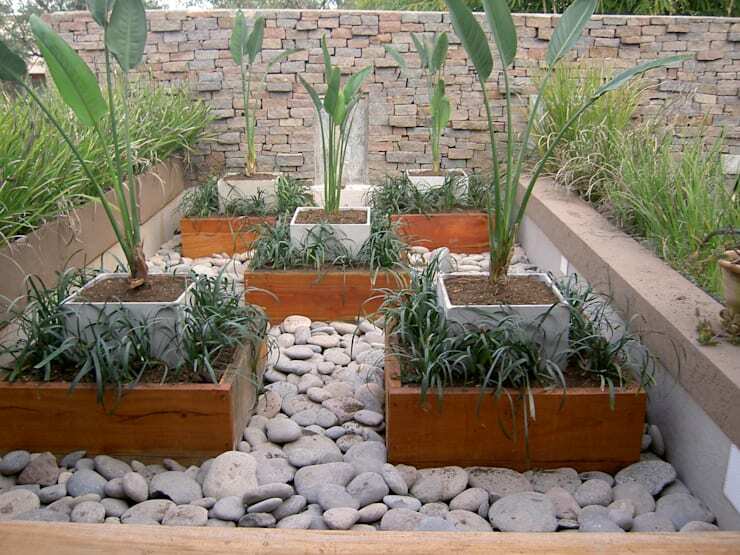 Use your garden to grow vegetables or herbs, combining functionality with beauty like landscapers LS+L have done here. 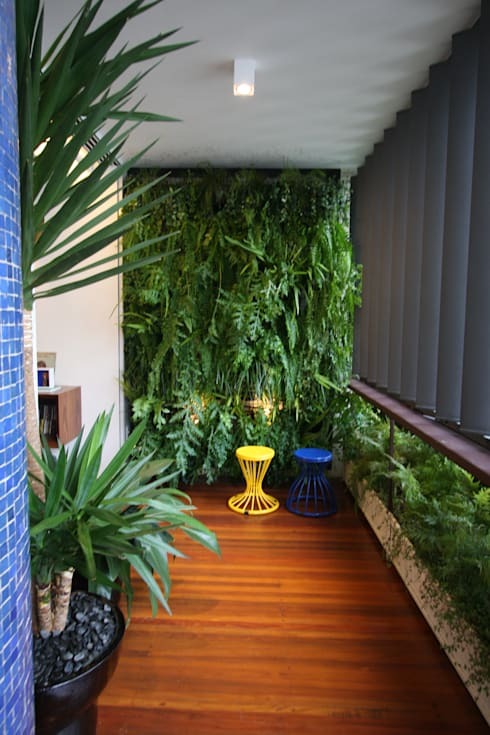 Vertical gardens are the ideal solutions in small spaces, apartments or urban homes. They give your home a touch of freshness without taking up an inch of floor space. They are also easy to install and maintain. 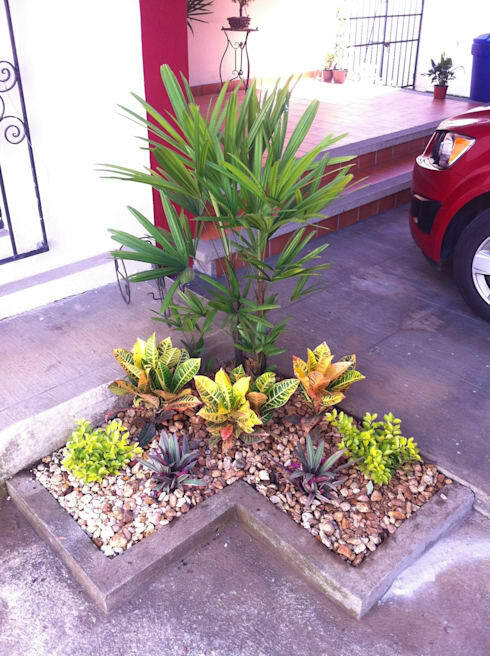 The front garden is the perfect opportunity to make a good impression on your guests. If you don't feel like you have enough space, analyse the corners. You can turn them into handy miniature gardens! Another way to take advantage of the corners is to decorate the perimetre. This way you won't constrict areas but you'll still have perfect decor. Who said you don't have space for a garden? 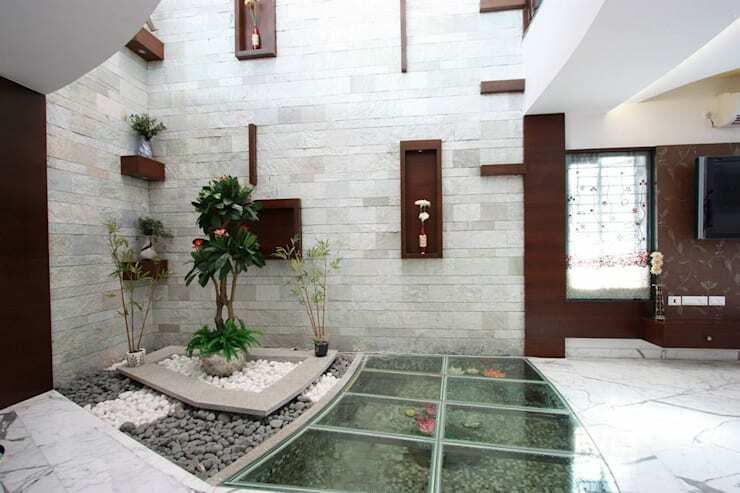 If you have a space under the house, why not convert it into a green area like Ansari Architects have done in this stunning home? For small spaces, it is highly recommended to install a focal point that will distract from the size. A sculpture is the perfect option. It can be something simple, like the one we see in the image. If you need more ideas, look at these tips for making a big impression with a small front garden. Which garden would you choose for your home?